Amazon.com description: Product Description: This profoundly moving tale of love, bravery, and tragedy by New York Times bestselling author Isabel Allende brings to life a country ruled with an iron fistâand the men and women who dare to challenge it. Irene BeltrÃ¡n is a force to be reckoned with. As a magazine journalist, an unusual profession for a woman with her privileged upbringing, she is constantly challenging the oppressive regime. Her investigative partner is photographer Francisco Leal, the son of impoverished Spanish Marxist Ã©migrÃ©s. Together, they are an inseparable team andâdespite Ireneâs engagement to an army captainâform a passionate connection. When an assignment leads them to uncover an unspeakable crime, they are determined to reveal the truth in a nation overrun by terror and violence. Together, they will risk everything for justiceâand, ultimately, to embrace the passion that binds them. 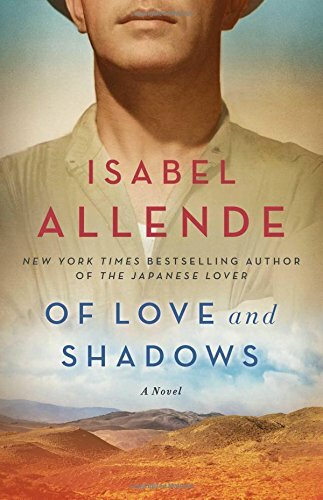 About: This profoundly moving tale of love, bravery, and tragedy by New York Times bestselling author Isabel Allende brings to life a country ruled with an iron fist—and the men and women who dare to challenge it.